Magical Realism is a little known genre in which the film has magical elements but these are treated as mundane and normal in the environment. Close examples of this genre would include many modern superhero films, where the people inhabiting the film's world treat superheros as a normal and accepted part of life. Stalker is a closer relative of the genre as the magic in the film is subtle and simply an accepted part of the universe. 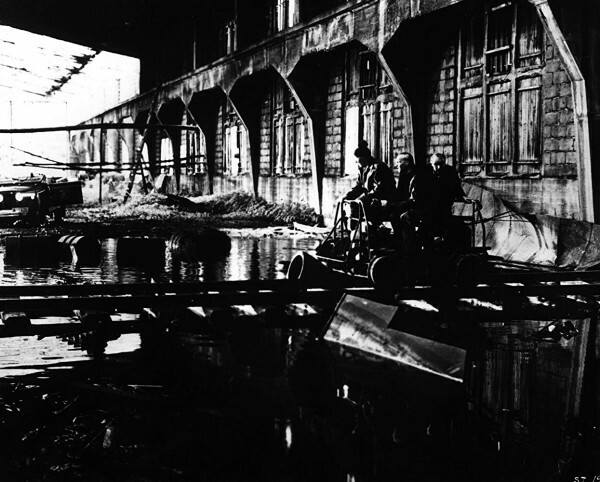 Stalker is a 1979 Russian magic realism sci-fi film directed by Andrei Tarkovsky and starring Alexander Kaidanovsky as the eponymous guide to the 'zone'. The film centres around the Stalker, the Writer and the Professor, with the former guiding the latter two into the 'zone', an area in the Soviet Union abandoned after extraterrestrial contact has made it unsafe. Inside the Zone is a place simply called the Room which supposedly grants the innermost desire of anyone who enters it. It is here that the three men are travelling to and as they journey they discuss their motives for visiting. The film is loosely based on the book, Roadside Picnic, which posits that aliens visiting Earth would act rather like we would having a picnic to break up a car journey, without really consider the effect we had on insects that inhabited the spot we chose. In the way that wasps might consider detritus we left behind, crumbs of food, wrappings etc, the book suggests we might consider what an alien race would do to an area of Earth. This is not made clear within the film, but it is a good lense through which to view it. If you're expecting a straight-forward sci-fi with fantastical events and stunning reveals, watch something else. Stalker goes to great lengths to leave everything within the zone entirely a mystery. First off, despite it being an area made uninhabitable due to alien contact, the Zone doesn't appear particularly different from anywhere else, but its navigation is surreal and abstract. The Stalker takes a winding path as he insists the Zone will only let them pass in a certain undefined way. At one point the group become separated, only to find their lost quarry waiting for them ahead, despite him having disappeared from the back of the group. This eerie uneasiness and uncertainty is present throughout the runtime without being made explicit, which is what gives the film its magical realism status. 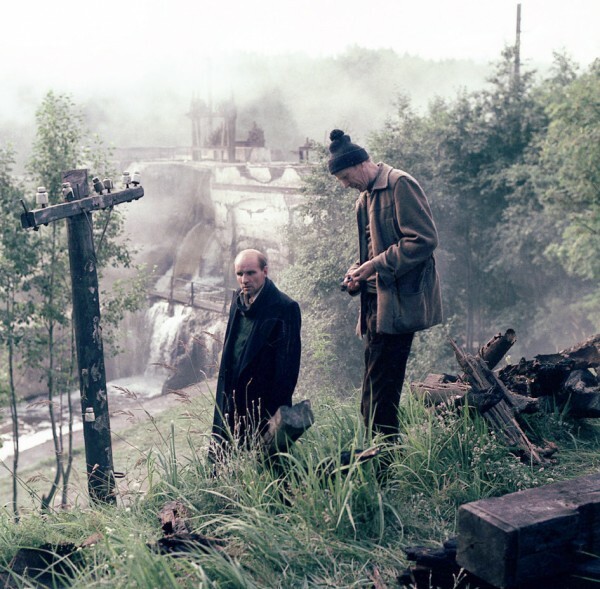 The focus of Stalker is less on the setting but more on the motivation of the characters. Most of the film is spent on the three philosophising about the desires of humans and their place in the universe. Because they do not understand the Zone, they treat it with a religious zealour or with contempt for its superiority when despite its apparent sentience, it seems to notice or care about the three very little. It's not exactly an easy watch in terms of plot, and you have to be in the right mood to be invested in it, but you will be rewarded if you are. The Zone is made to look quite beautiful, not just because of how expertly the landscape is captured, but also due to its contrast with the sepia/monochrome colouring of the scenes outside it - a world gone to ruin. An interesting connection this film has is to the Chernobyl disaster, which happened seven years after Stalker was released. The exclusion zone around the destroyed nuclear power plant has much the same aesthetic, buildings being reclaimed by nature, beautiful landscapes and not much of a sense that anything is wrong. Due to radiation levels having somewhat subsided in parts of it, people will now take small tours in there. Whether Tarkovsky was predicting how land made uninhabitable by advanced technology/weaponry would be used after its destruction or simply making comment about humanity's place in the universe and what, if anything, our existence means on a cosmic scale, we will never know. 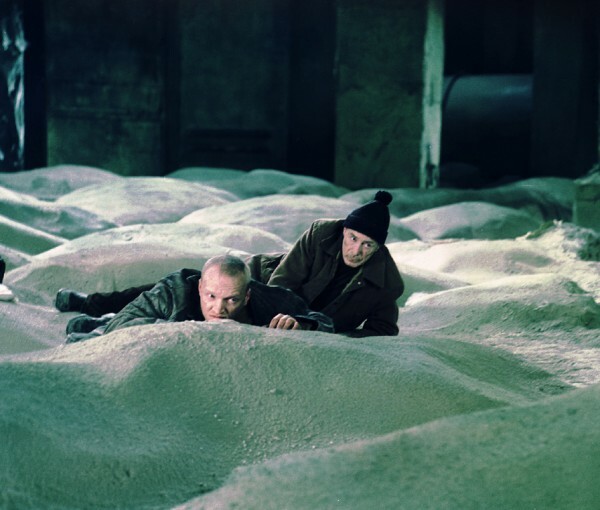 However, if you want a haunting, jarring dive into philosophy amid things we do not understand, then Stalker is definitely a film you should watch this Christmas.